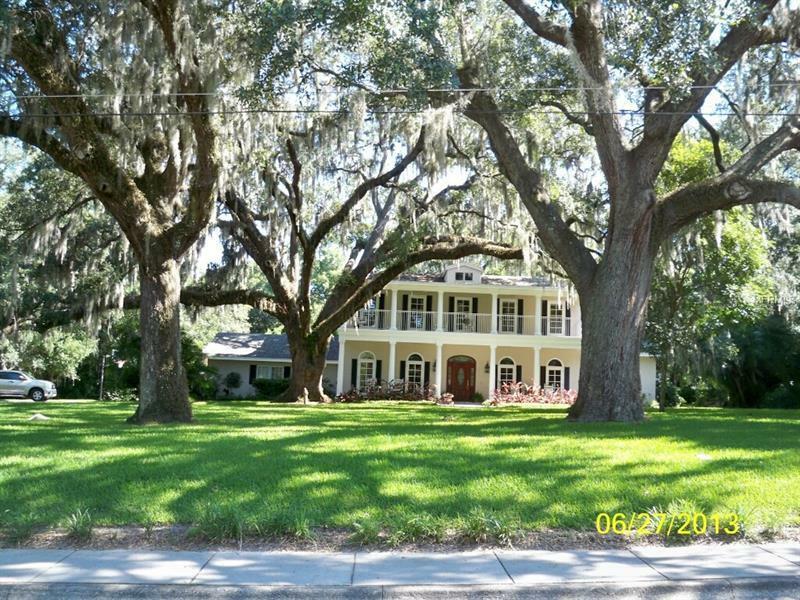 Welcome Oviedoâs True Southern Charm Home situated on one acre in the heart of Oviedo. This home will take your breath away. Enjoy sitting in your Rocking Chair on the Front Porch or Front Porch/Balcony on your Porch Swing overlooking the Beautiful Large Green Velvet Lawn with Majestic Oak Trees. From the moment you enter the home, you will notice the tall ceilings, beautiful floors, and thoughtful touches throughout. The Master Suite is downstairs while the Media Room and Three additional Bedrooms and two Full Baths are upstairs. Adjoining the Media Room is an additional room, which may be used for many creative endeavors. Located off the Covered Porch on the Back of the Home is a Beautiful Brick Patio with a Built-in Hot Tub. The Kitchen has Beautiful Cherry Wood Cabinets, Stainless Steel Appliances, Granite and Gas Range. The Kitchen flows into the Breakfast Nook and Family Room with Gas Fireplace. The Beautiful One Acre Lawn is watered by a Deep Well. There are many outstanding features to enjoy in this Gorgeous, One-of-a-kind Home in the Heart of Oviedo. Room dimensions not guaranteed. Copyright © 2019 Mid Florida MLS. All rights reserved. The data relating to real estate for sale on this web site comes in part from the Internet Data Exchange Program of Mid Florida MLS. Information provided is for consumer's personal, non-commercial use and may not be used for any purpose other than to identify prospective properties consumers may be interested in purchasing. Watson Realty Group participates in the MFRMLS Internet Data Exchange (IDX) program, allowing display of other MFRMLS broker's listings on this site. However may not include all listings currently available. Information is deemed reliable but not guaranteed. Information last updated at 2019-04-18 18:02:35.